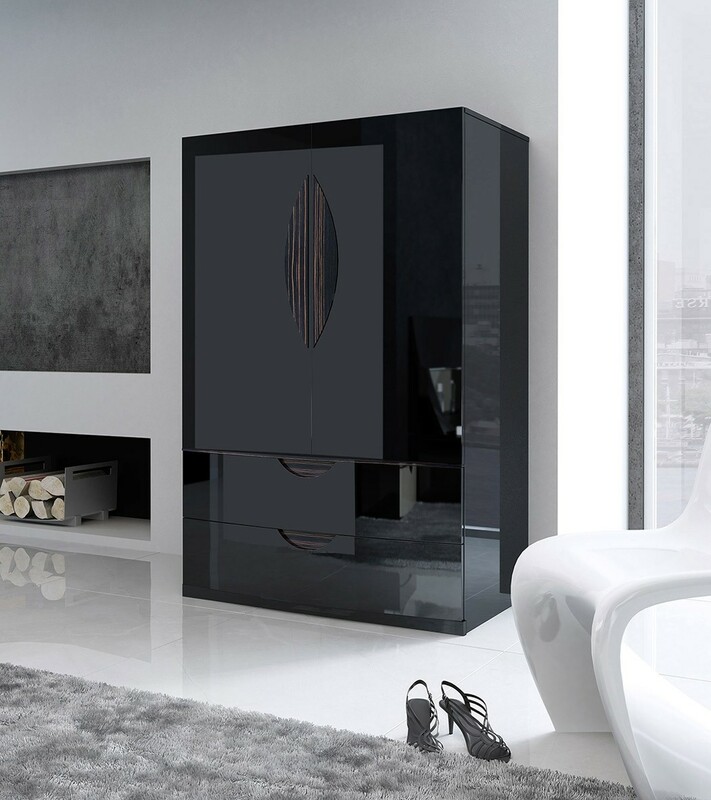 Made in Spain by Fenicia Mobiliario Marbella bedroom set comes in a black lacquer finish with wood design in the headboard. 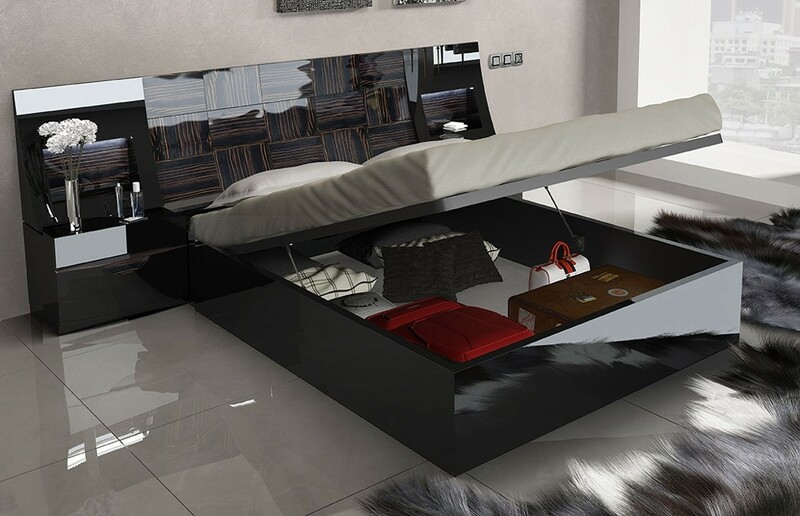 Platform bed with LED lights has a floating design. 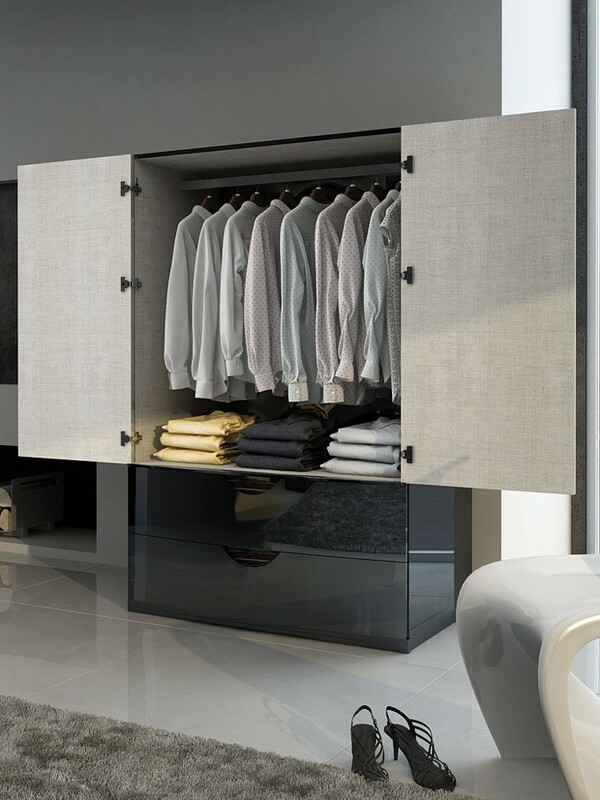 Single and double dressers are available as well as optional storage bed. 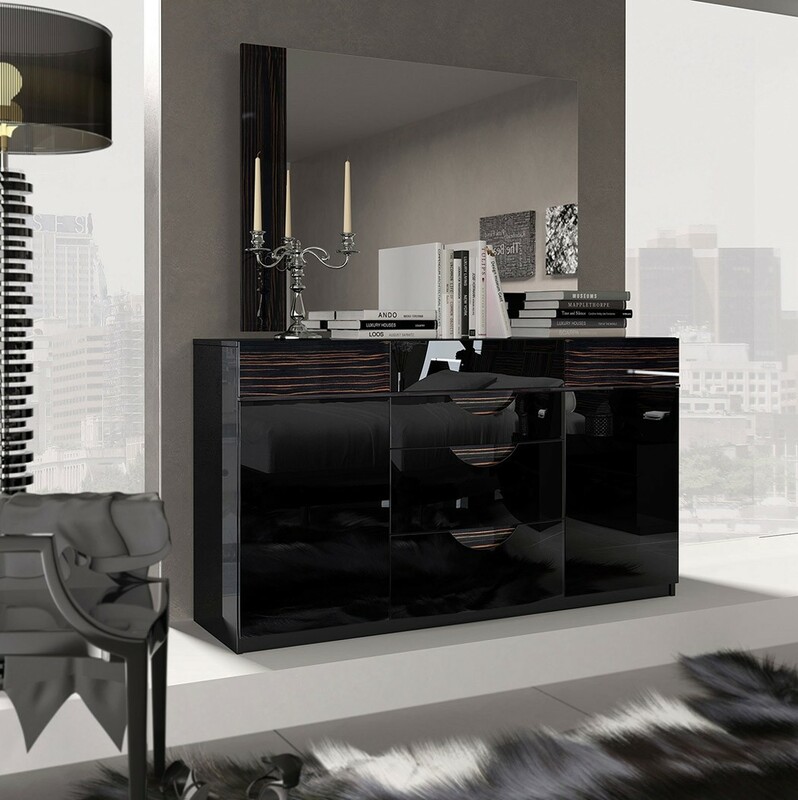 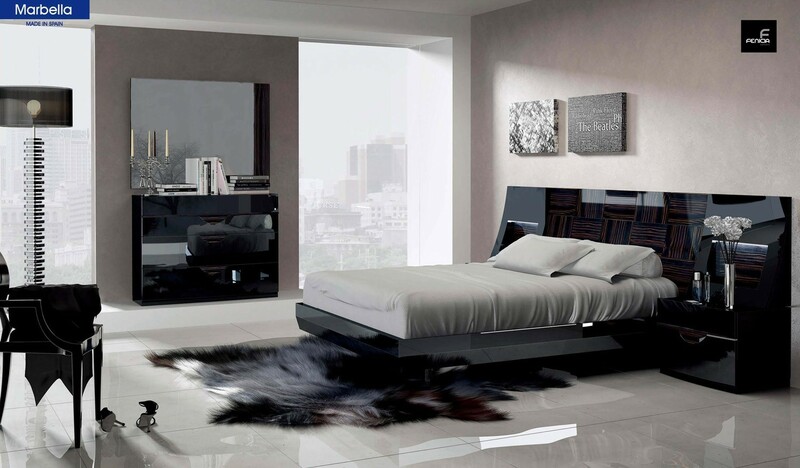 Contemporary style Marbella bedroom set includes self closing mechanism drawers on nightstands, dresser and chest.